As part of its most recent round of Marvel! NOW teaser images, last week Marvel hinted at a new project from Liberty Meadows creator Frank Cho. Today the publisher announced, via an interview on its website, that it's launching Savage Wolverine, a new on-going series with Cho set to be writer and artist. 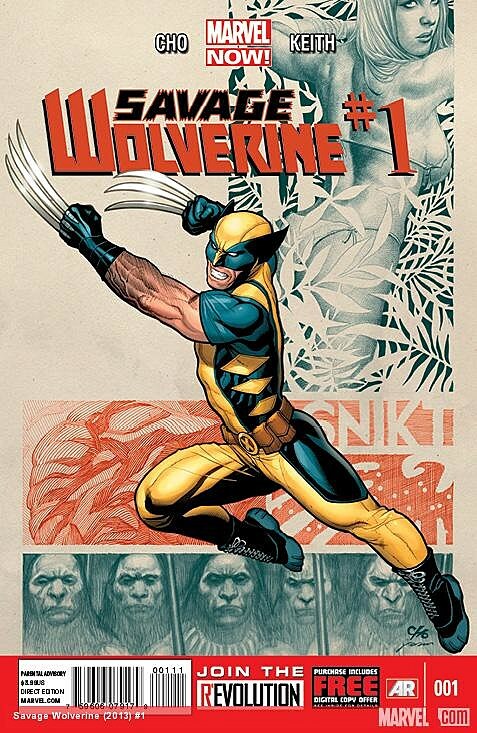 Cho promises that his take on Wolverine will be "pretty bloody and savage--in a good way. "The new series will start off, appropriately enough, in the Savage Land. Shanna the She-Devil, who Cho previously worked on in the Shanna the She-Devil limited series, will guest star in the series' opening story arc, which features a stranded Wolverine waking up in the Savage Land with no memory of how he arrived. "The story takes place in the forbidden area of the Savage Land where an evil ancient god slumbers," said Cho. "Wolverine and others accidentally unleash it, while trying to get home." While Cho said Savage Land native Ka-Zar will not appear in the story, he does promise fans will see other familiar Savage Land inhabitants, and "brand new characters who will lead you into a bigger and more epic story down the road." Savage Wolverine #1 will be in stores in January.